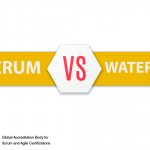 What’s better- Scrum and Agile or Waterfall? There are lot many ways to develop or code software. Easiest is the one in which no documentation, design or testing is involved. Others describe on how to improve coding, testing etc. All developers claim that software delivered is better by their method and also is faster with less effort. It sounds really good but everything should have a proof when it comes to software. Although, Agile methods are not at the peak but its growing and getting very popular every day. 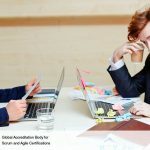 However, it’s difficult to prove on whose method of software development is better as there is no scientific uniform data to compare or methodologies like Agile or Scrum. All the projects depend on the skills and knowledge of the people involved in it, domain used, choices made at every stage, process method. This comparison is more like comparing cars to trucks where anyone can easily say: that is not a real car and this neither a truck. We all know that every project of software is different n by its nature software development is exclusive. It is fundamentally true. There are people who still try to differentiate the effectiveness of methods of software development. It has been proved that there are several different methods and most of them were significant in specific situations. Also, people promote the methods of software development, which many say is nothing but a way of earning more money by many consultants. Small companies of trainers and consultants get created easily with the help of the certifications and eventually they get busy training the delegates of big companies. It’s always better to take the help when needed moreover nothing wrong in it as it might act as the help you were actually looking out to give the final touch to the project. 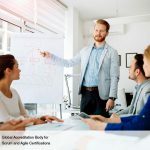 Agile is very well known and popular as it give u many best practices, focuses on the job to be done, though we should accept it that it doesn’t happen every time. As far as Scrum is considered, a well-judged product owner’s presence will prove it to be the faster and effective than waterfall approach.